Time. We never seem to have enough of it, especially in today’s fast paced world. Unfortunately, you can’t add more time to your day, and you can’t get it back when it’s gone. Although everyone has the same 24 hours in a given day, it’s what you do with that time that can set you apart from the pack. With almost any business, productivity is a constant theme. And your management team’s time is certainly a limited and critical resource. The more valuable their time is, the more mindful you have to be for maximizing their time wisely. 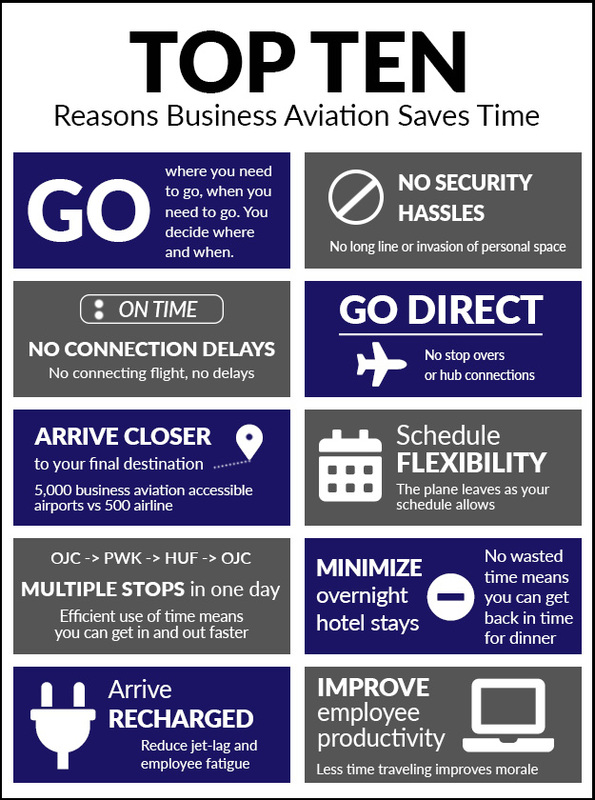 When it comes to business travel, the options quickly come down to two things – cost versus time. So how does this time machine work? The value of an individual’s time wouldn’t decrease, but you can certainly reduce the number of hours spent traveling. The less time spent on the road, the more time one has to be productive and take advantage of both business and personal opportunities. 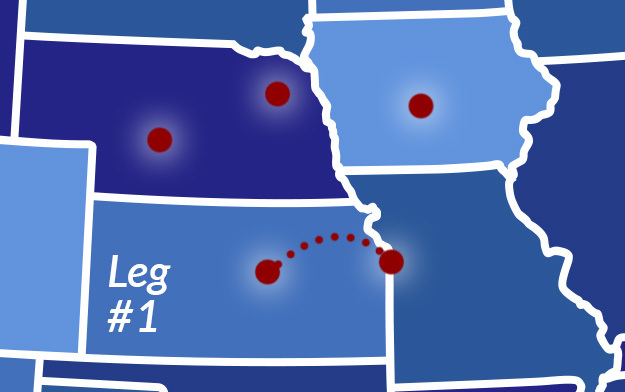 Let’s look at a trip where two of your managers need to visit three of your locations for meetings and see a potential new customer at a fourth stop. 50 minute drive home arriving at approximately 11 pm. The entire time your team is using the business flight, they can use the time productively to discuss meetings and prepare for the prospect pitch. There is no concern for confidentiality or security as there are no other prying eyes on board.